What’s this blog about, anyway? The tavern is a special piece of early American iconography. We like to think of them as places where travelers stopped for the night to enjoy a hot meal, commune with fellow vagrants over beer and mead, and where they’d at least find a modest room to lay their head. (Read more on Colonial tavern life). Hundreds of years after the tavern age, some restaurant owners try to channel the glowing energy of the inn. Enter: the Jolly Pumpkin. One of Traverse City’s hidden haunts, the JP is isolated on the city’s iconic peninsula. On our trip north, Ashton and I take the scenic route out to Traverse Wine/Cherry country. The road forks at Bowers Harbor and there, perched on a hill by the waterside, is the old house. 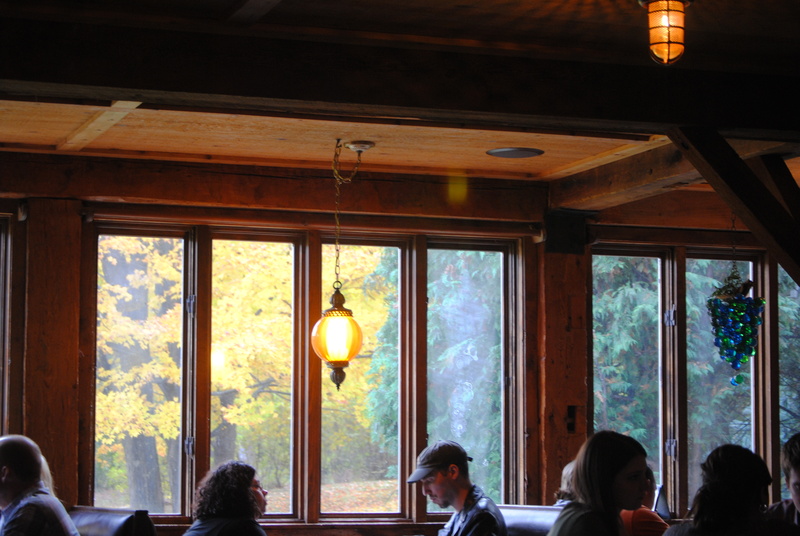 The first thing patrons may notice is the GIANT MOOSE HEAD above their roaring fireplace. 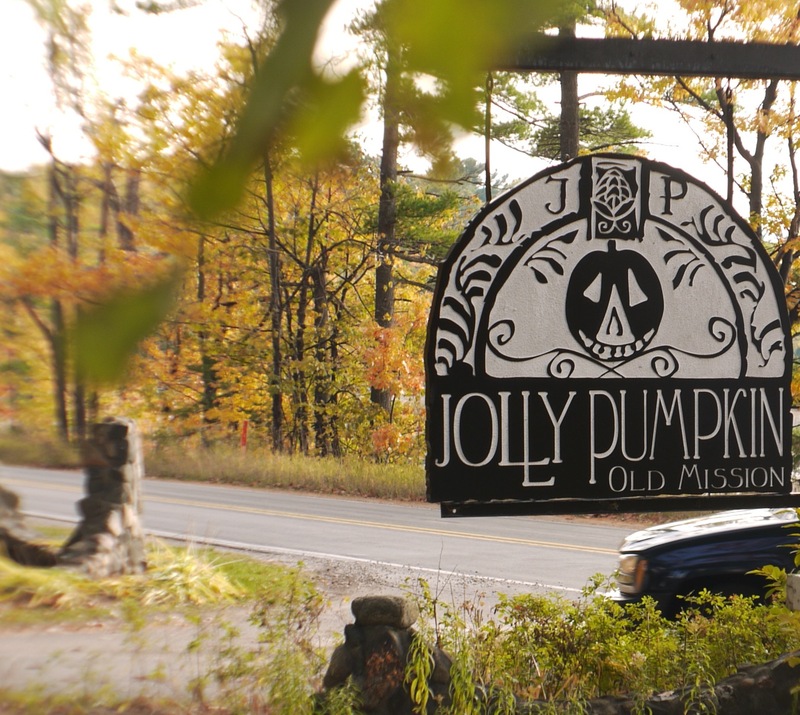 * The Jolly Pumpkin is two-storied — loft-style with a high ceilings and walls (tavern, anyone?) Twisted, amber lanterns glow above the well-worn tables and the whole place kind of feels like a warm and welcoming barn. Don’t let the goofy name throw you. If we lived closer to Traverse, this would certainly be a regular haunt but we’re also glad that it’s off the beaten track. We know most come to Traverse in the summer, but if you have the chance, come here during autumn. Note: the building is comprised of two restaurants. We didn’t get the chance to visit the other (the Old Mission). The Jolly Pumpkin is near the back. - local craze, the Clarkston Woodshop!